It’s time I got around to posting something about my experience at the Texas Library Association conference earlier this month. I had a great time! It’s a huge event — I heard that the total attendance was over 7,000. That makes it probably the second biggest conference of librarians in North America, next to ALA. One thing I particularly value is that it it takes a holistic view of librarianship, and tries to appeal to all sectors and contexts. Naturally, it’s dominated by public and school librarians, but there’s plenty for academics, librarians in the corporate sector, and other specialized settings too. Thanks to that breadth, I was pleased to note the presence of some public and school librarians, as well as academics and specialized librarians, at the sessions on embedded librarianship. Similarly, I benefitted from the opportunity to hear speakers whom I might not otherwise encounter, like Ross Todd speaking about evaluation in school library media programs, among others. But my most surprising experience was my conversation with Todd Bol, co-founder of the Little Free Libraries program. (littlefreelibrary.org) Coincidentally, I’d had my own first close encounter with a Little Free Library just a couple days before. I noticed a newly-installed one outside the Janney School, a public elementary school in the Tenleytown neighborhood of Washington DC, and took a picture of it, which I used in my presentation. 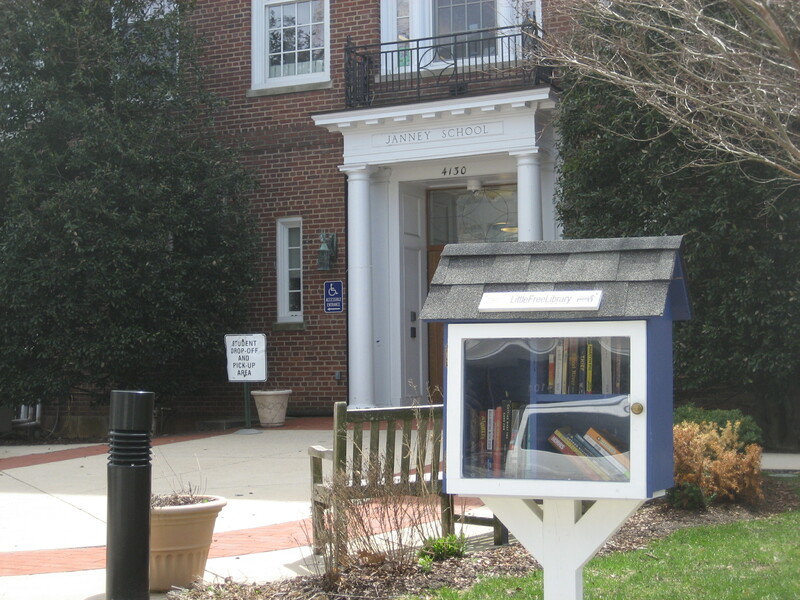 The point is, the Little Free Library movement facilitates and leverages local initiative. Where Little Free Libraries thrive, it’s because someone in the community believed in the idea enough to take initiative, and the community supported it. This could be one element of a public library’s community engagement strategy. Obviously it shouldn’t be the whole strategy. There are other needs that the Little Free Library doesn’t meet, and that the public library needs to be involved in. But it’s one way of magnifying the energy that already exists in the community — and it’s one more opportunity to embed librarians in the community as well. You are currently browsing the archives for the Public Libraries category.